This North Hampton gem awaits you! This bungalow's charm is seen all the way from the curb. It has one of those rounded front door that we all love! 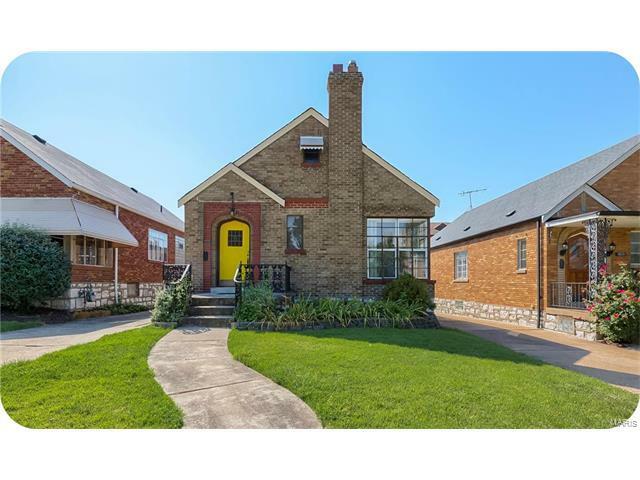 Inside you'll find lots of beautiful woodwork typical of these bungalows: Hardwood floors, original woodwork, & stained Glass windows. Beautiful fireplace too. Living room features a unique corner window that allows LOTS of natural light. The BRAND NEW kitchen is gorgeous awaits the lucky buyer to be the 1st to use it! Stainless steal appliances, 42" cabinets and trendy back splash. Have a queen or king size bed? No problem. Spacious bedrooms here! Basement features a bonus room for an office, guest room or play room. 1 car garage and nice yard. Perfect for first time home buyers who want a beautiful kitchen on a budget. ALL appliances stay...including washer and dryer. Great location. Walk to Practicing Yoga, a few gyms, Schnucks, and Target!! Low inventory under $150,000, come quick.